Don’t let track problems compromise the good performance of your garage door or the security of your property. Call us for garage door tracks repair in Burnaby today. Tracks might bend or fall out of alignment. And when such problems occur, the door will most likely get jammed. It won’t come up or go down. Since the condition of the tracks affect the movement of the rollers, our experts are always ready to address problems with garage door tracks and rollers. So, call us if you want to fix or replace either of these parts. 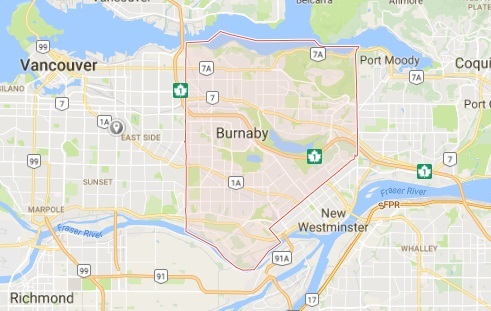 Count on our techs here at Burnaby Garage Door Repair to respond fast. We have been fixing track problems for many years and know how to deal with each issue. There are always tools and spares in our trucks. And so we can replace the rollers and tracks if they are in a bad condition. Replacing tracks is not an easy task. So, leave it to us. We offer quick and affordable garage door tracks replacement in Burnaby, British Columbia. Whether you want us to replace tracks or rollers, we always take into account the weight and special features of the door to bring the right products. We can install horizontal, vertical, and curved tracks as well as steel and nylon rollers. Call us to replace garage door tracks. If they cannot be fixed properly or are scratched and thus corroded, the door will be noisy and won’t perform well. 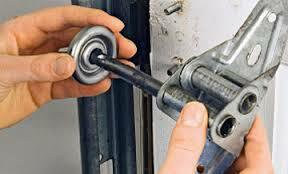 Depend on our quick response when you want bent garage door track repair or track alignment. We fix tracks fast to ensure the door will continue to move without obstructions. When tracks bent, the rollers cannot move with ease. When they are misaligned, we make sure they are placed in their right position so that the door won’t bind or jam. Trust us to maintain your tracks, check the rollers, and take care of problems. With proper track cleaning and lubrication, rollers slide smoothly. And so the door performs well. So, if the door makes too much noise or gets jammed, all you need to do is give us a call. We will check if the problem is with the tracks and address it on the spot. Need garage door tracks repair Burnaby services now? 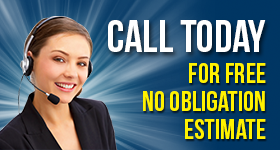 Feel free to call us.